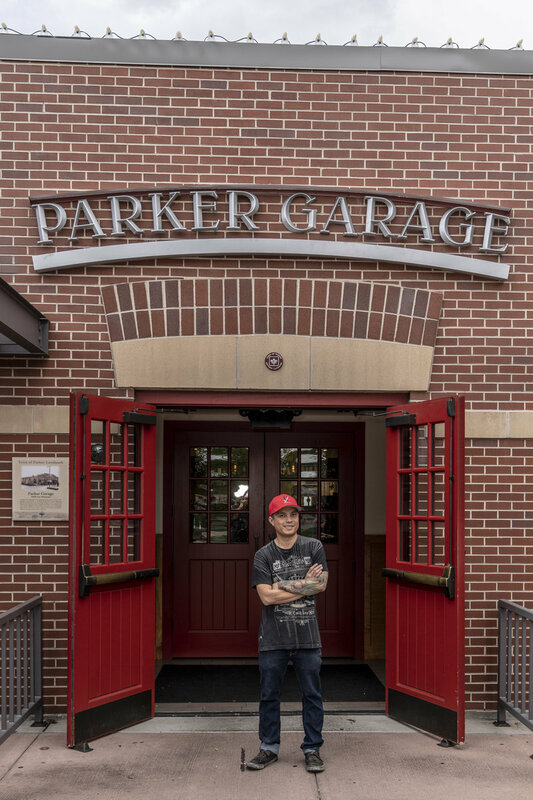 But on a recent Thursday, just as the Parker Garage lunch shift is starting to bustle, he’s happy to sit down awhile to show off his new love. 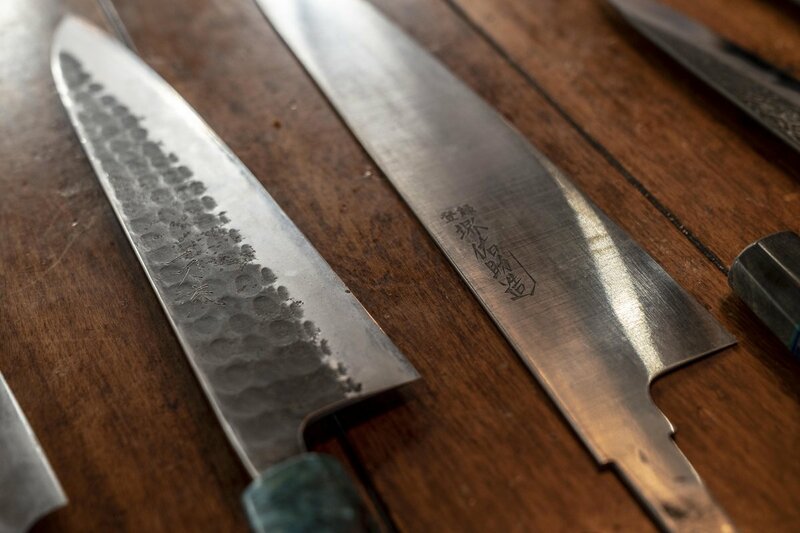 He proudly displays two Japanese knives with the custom handles he made for two cooks he knows. As he sips his coffee, Duy quietly says he stayed up way too late the night before to finish them. Cooking, Duy says, is his first love. 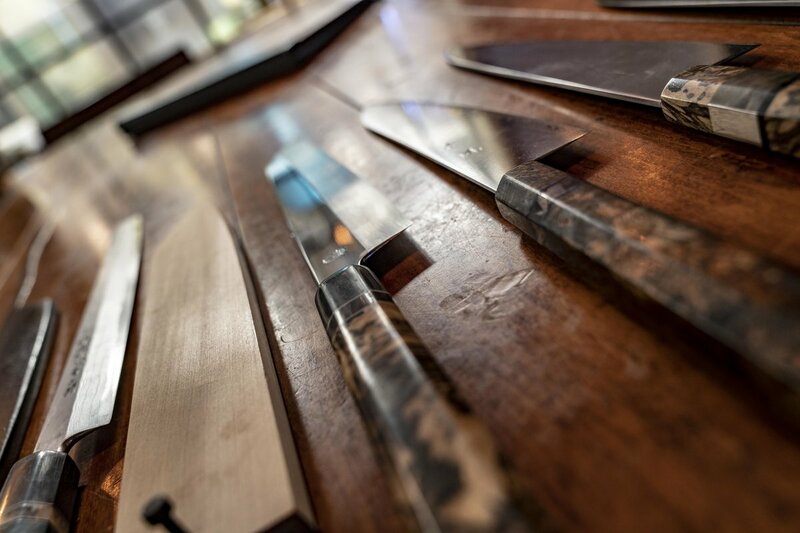 But custom-making handles and learning how to forge knives are his new obsession. 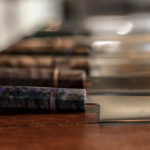 It all started about a year ago when Duy needed to replace worn-out handles on several beloved Japanese kitchen knives, some of which he’s used since he started cooking professionally 28 years ago. After figuring out the price tag for new handles, he opted for some DIY. His DIY venture soon turned into a quest to learn all he could about handle making, bladesmithing and collecting. Cook friends began to notice and asked him to make them custom handles. 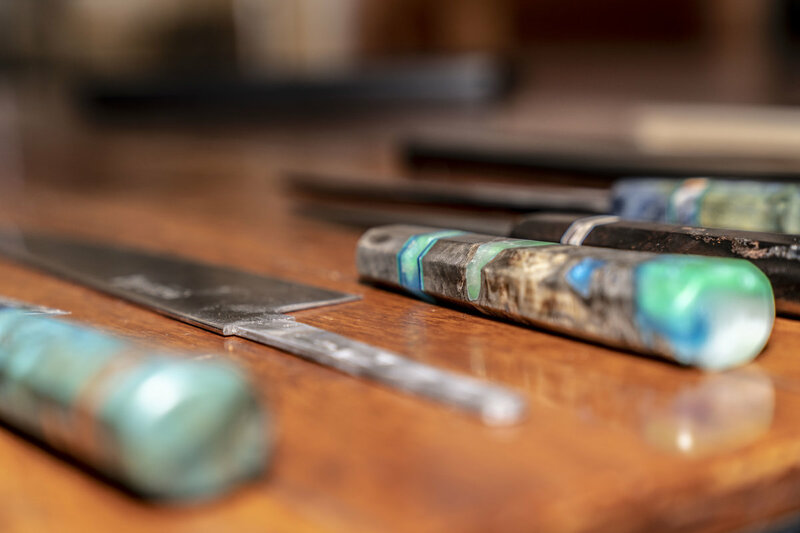 Just weeks after his first crude handle making, Duy spent a week apprenticing with renowned bladesmith Murray Carter of Carter Cutlery in Hillsboro, Oregon. 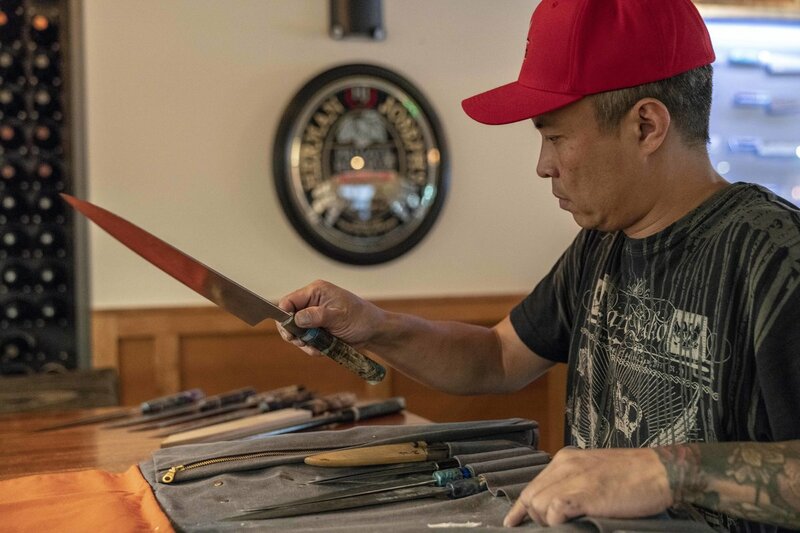 Under Murray’s tutelage, Duy learned to forge his own blades using Japanese techniques and carbon steel and earned a journeyman knife maker certificate. 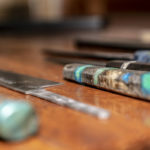 Murray says Duy stuck out to him as an eager student who was already well-honed in using his eyes to perfect the blade, something Murray says is not easy to teach or learn but is critical in forging steel into a work of art and utility. 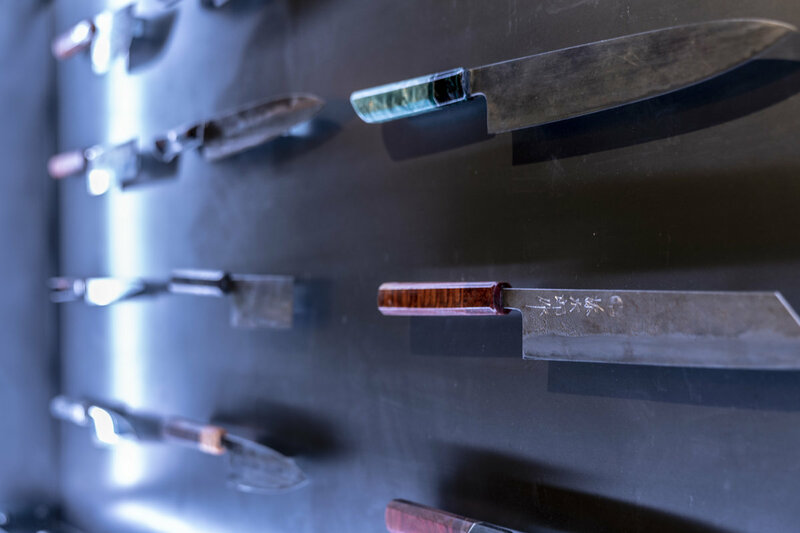 And the chef and the bladesmith, who trained for 18 years in Japan, were able to teach each other lessons. 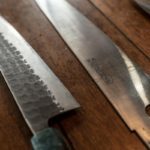 “As I taught him how to use his eyes in bladesmithing, every day for lunch we’d travel to different restaurants, and he opened my eyes to different cuisine,” Murray says. 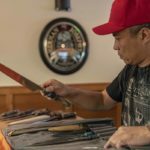 After his class in Oregon, Duy threw himself into his new craft. 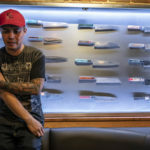 He sold his two-bedroom condo and bought a five-bedroom, three-car garage in Parker just to have enough workshop space to work on his knives. He’s long suffered from insomnia, so it’s easy to just go downstairs to work on a project in the middle of the night if he wants. 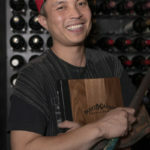 The result has been D. Pham Blades, the company Duy started with his Parker Garage partne, restaurateur Brent Walker. He now has almost 3,000 followers on Instagram, where he often hosts auctions for knives that at start well over $1,000. He says handle orders have been pouring in from all over the world. “I’m a one-man sweatshop,” Duy says, laughing. 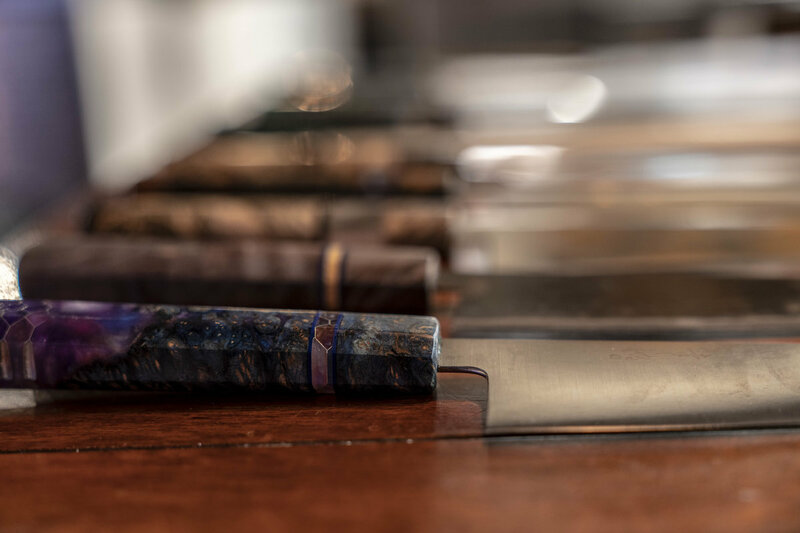 He prides himself on his quick turnaround on knife handles, his personal response to every customer inquiry and his ability to create well-functioning tools of the kitchen trade. 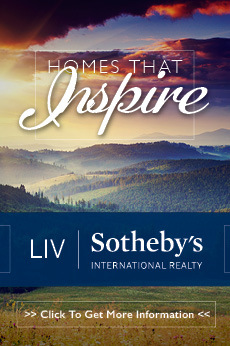 “There’s a connection with other chefs and me. I’m not just a woodworker. I’ve been a chef for so long, and I know the right knife matters. How does it feel? How does it work?” he says. 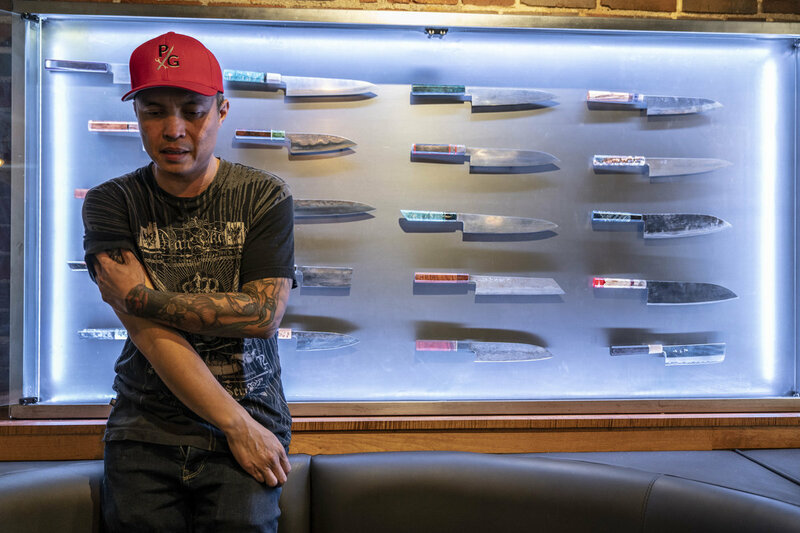 Up to this point, Duy has been solely working on knife handles, but this fall, he plans to pick up the bladesmithing to fill some orders from people in the knife community who have fallen in love with his work. 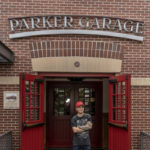 Duy is still involved in overseeing the Parker Garage kitchen and is busy planning the opening of his new restaurant, Foraged, in Denver’s LoDo. 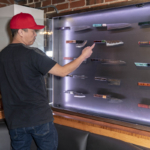 But he plans to take on more of a corporate chef role in his restaurants, designing the food concepts, and leading and training executive chefs, so he can focus more on his knife business. 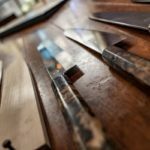 “For me, it’s more challenging to be a bladesmith. 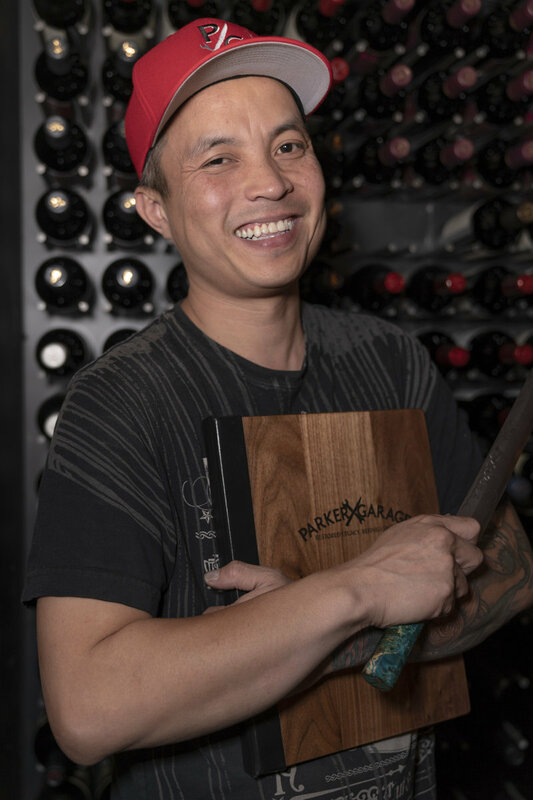 I’m already where I want to be as a chef,” he says. 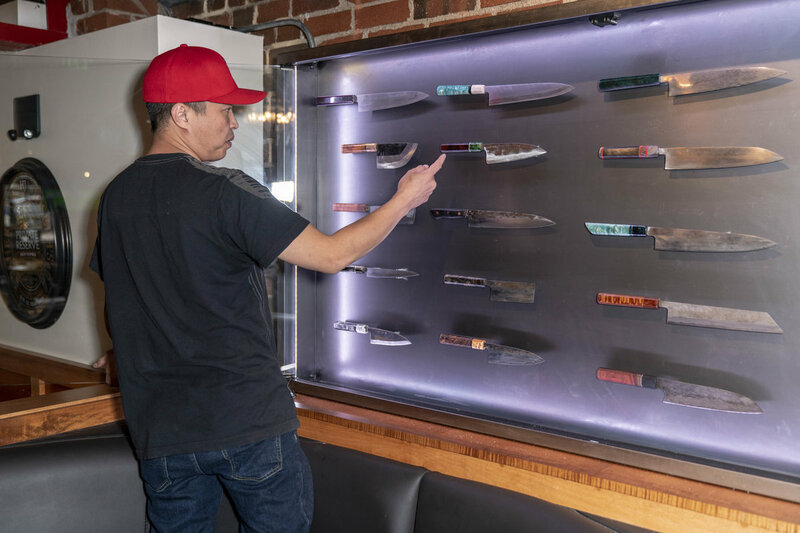 He displays his work on a wall at Parker Garage, where he frequently gets commissions from patrons who see his work there, and his knives will play a prominent role at Foraged. 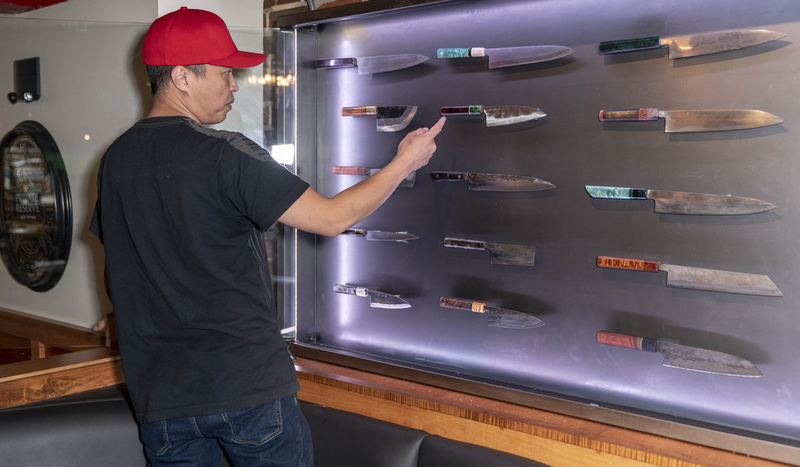 Duy says the two main types in the knife world are cooks and collectors, both of whom are trusting you with big-money items when they send you blades to work on. 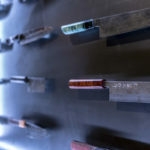 Find Duy’s latest creations on Instagram @dphamblades.